Its not a coincidence that the Sevillanas are one of the most popular Spanish dances: the catchy rhythmic music, the colorful clothing, the simple but intriguing choreography and the temperament of Andalucía make the Sevillanas irresistible. Sevillanas is a music and dance style originated in the south of Spain. The dance has similarities to the Flamenco but the techniques are a bit less complicated and therefore easier to learn. The dance is an important part of the typical Andalusian fairs (ferias) and pilgrimage (Romerias). 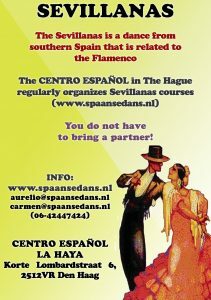 Regularly a group of “Sevillana lovers” come together at different locations in the Hague to dance. 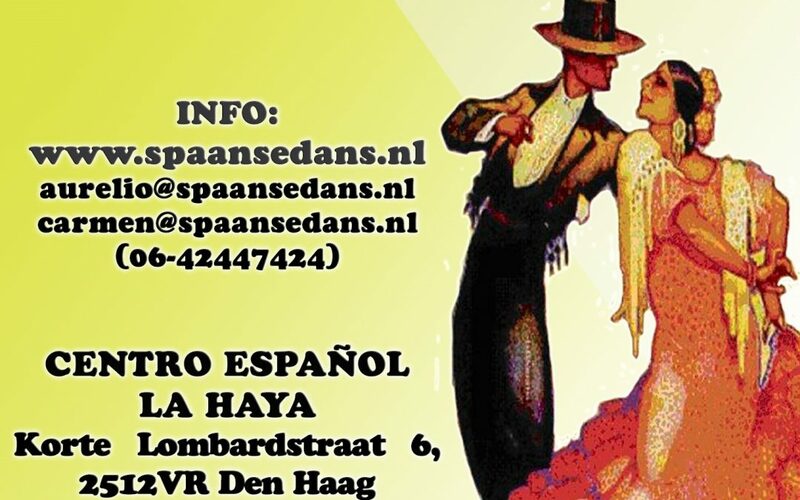 The group of people consist of many different nationalities connected by the love for the Spanish culture and its dances and parties. 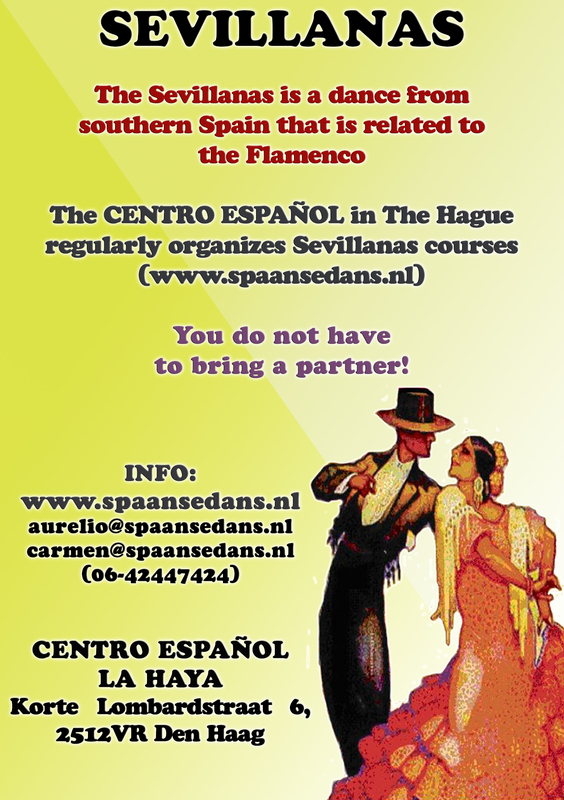 In the Centro Español we organize dance courses for people who are interested in getting to know the dance and Spanish culture. 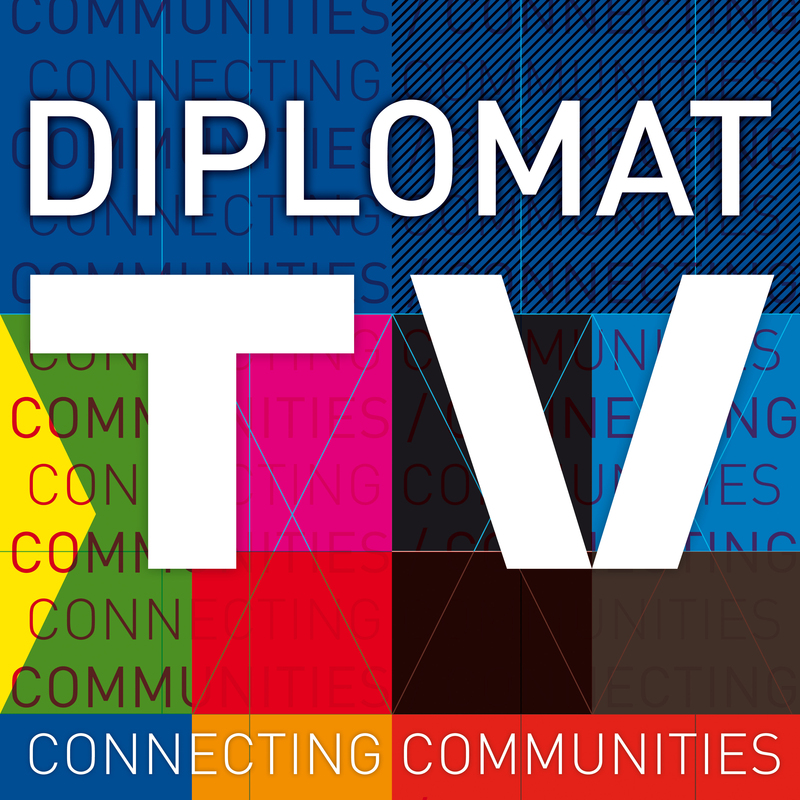 As a group we also visit events together such as the Feria del Caballo in Jerez de la Frontera (Southern Spain) or Fiesta Rociera in Vilvoorde, Belgium. The dance teachers and students of the Centro Espanol will be sharing their love of Sevillanas with visitors at the Fair. Watch them demonstrate how it’s done on the podium and then have a go yourself on Central Park and in the Community Centre.